Located 90 kilometers from Kota Bharu, Kelantan’s capital city, this traditional homestay is renowned for its’ agricultural produce. These include the planting of long beans, star fruits and tamarind, especially sold dried to be used in cooking. Agarwood, too is cultivated here. Hop over for a visit and be greeted with the fragrant smell of agarwood (incense), a highly sought after perfume ingredient is processed in the village of Bukit Jering. 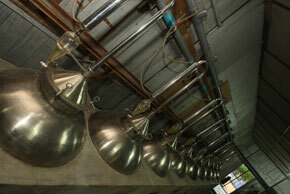 Visit the factory to see the small saplings of gaharu as they grow. When the trees mature, it is then processed before it is shipped overseas’. Experience too, the early morning feeding of the chickens, goats and cows. It is something that you would definitely not see in the hustle and bustle of the city. Busy as they are in their daily work, the villager’s uphold tradition and hold it dear to their heart. Traditional Malay culture is very much alive here, with practices of dikir barat, kertok, silat, nasyid and traditional dance offering a glimpse into the richness of society. 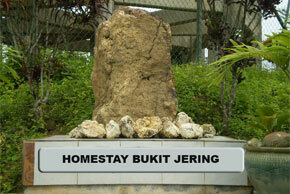 Enjoy the laidback atmosphere, and revel in the warmth of the homestay, an experience to treasure for life. 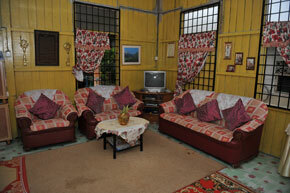 Don’t forget to come visit Kelantan’s unique homestay experience! This site is best viewed with Microsoft Internet Explorer 5.0, 6.0 and above.